Anthony Modeste continued his prolific goal-scoring form with a brace in 1. FC Köln's 2-1 win over FC Ingolstadt 04 on Matchday 7. 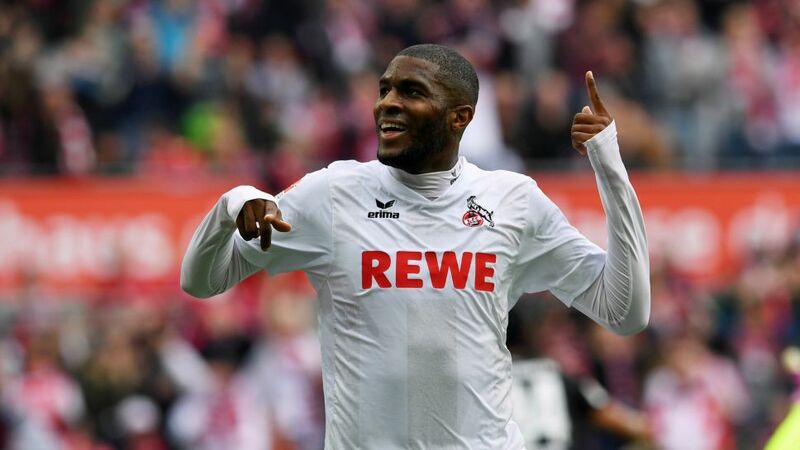 Considering Anthony Modeste for your Official Fantasy Bundesliga side? Sign him up here! Official Fantasy Bundesliga managers were thrown into a blind panic when Köln head coach Peter Stöger suggested his star striker could miss the game through injury, but it turned out to be business as usual on the day. The 28-year-old's second brace of the season was just reward for another clinical showing in front of goal, but does the current Bundesliga campaign's leading marksman deserve to scoop the Matchday 7 MVP gong? Vote now! Vote Anthony Modeste for #BLMVP on our twitter channel now! Has scored seven goals in as many Bundesliga games so far this season.Every one of his last three attempts on goal has gone in.Picked up another 18 Official Fantasy Bundesliga points on Matchday 7.